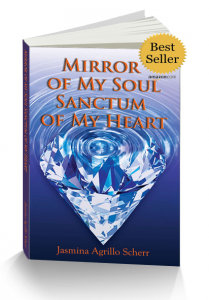 Jasmina’s new book is a spiritual memoir and inspiring treatise on how heart-resonance, intuition and resilience can get you past the tough times and into the thrive times! Filled with mystical experiences that kept guiding her forward, she relays the astonishing visions, dreams and guidance that opened for her–even long before this grandchild of Italian immigrants elected to follow her wandering soul to India to become a disciple of a leading spiritual guru. Throughout her book, her healing is now our healing, as she provides the wisdom and inspiration to be in one’s heart, looking for inner truth. 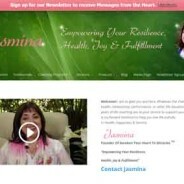 Jasmina has been a Life Coach for years. She helps you to Empower your Resilience, Health, Joy and Fulfillment. Jasmina has 5 different Coaching programs with unique goals tailored to your needs. Listen to free sample of Jasmina’s guided meditations.